Let's face it! The Celtics have played poorly in the three pre-season games. They only won one of those games, and their defensive rating thus far stands at #18 in the League. But hey, the Rockets are 20th in defensive rating - the Warriors are 21st - while the Lakers are 25th. I see no major concerns here, except for the fact that the Raptors are rated 8th, and the addition of Kawhi Leonard may be having a positive impact in Toronto. Marcus Smart brings up a good point. Players usually don't practice defense in the summer. They may work on their foul shooting, 3-point accuracy or their handles, but defense gets neglected. That should come around quickly. The problem here is what Brad Stevens harped about all last season - the disjointed offense. Boston sits at #20 in offensive rating for pre-season, well behind Houston at #8, the Lakers at #12 and Golden State at #13. Toronto has the 23rd slot, and integrating Kawhi into the offensive mix may partially account for the low rating. 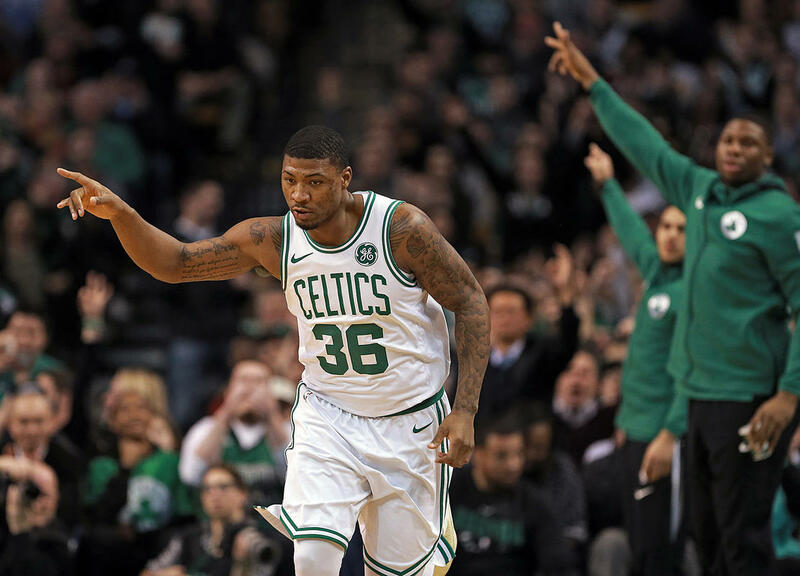 With Brad Stevens at the helm, rest assured that with summer over, the Celtics definitely will be practicing defense, and they should once again be at the top of the ratings there. And any team starting Kyrie Irving, Jaylen brown, Jayson Tatum, Gordon Hayward and Al Horford should have no negative issues with scoring the ball. Most of the rust should be worn off by opening night.